I wake up reasonably early and get up to see if I faint with hunger. I don’t. 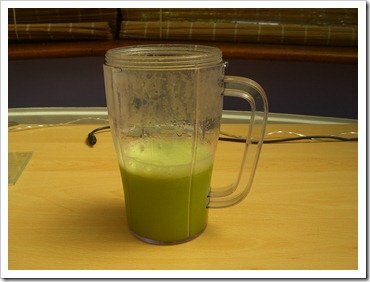 In fact, I’m still full from last night’s dinner of avocado and spinach juice. I have my lemon with hot water, then make the Super Detox Smoothie, which I’ve been looking forward to, as I love home made smoothies and this one contains 1/2 a small pineapple, which gets juiced, then poured into a blender along with 1 handful fresh blueberries, 1 handful fresh blackberries, 200g low fat live yoghurt and 4 ice cubes. I don’t have much of a sense of smell but the smell of the fresh pineapple juice coming out of the juicer is amazing (if you don’t want to clean a juicer for just a bit of pineapple, you can leave it out). 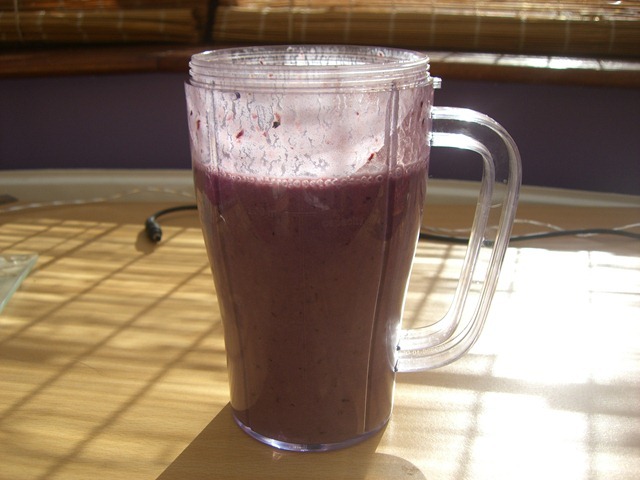 I add it to the blender with the blueberries, blackberries and the yoghurt and whizz it up. I’m used to adding soya milk to my smoothies, not yoghurt, and so it’s a bit sour but still, it’s very nice. And makes a change from flipping beetroot. I don’t have to have beetroot again until linner when it’s the H2O Detox again and then dinner is the same as last night’s – Beyond Detox. I’ll try to blend the avocado properly this time. I know I moaned yesterday about having the same juice for two meals in a row but I’m going to moan again about having the same dinner two nights in a row. Considering how Jason Vale is the self-proclaimed Juicemaster, couldn’t he have devised a programme with a bit of variation? It is only three days, after all. Just back from a run and very surprisingly, I don’t want peanut butter on toast and a mug of hot chocolate. I usually have a cup of Options hot chocolate at 11am every day but the thought of all those chemicals now isn’t appealing at all. I was quite thirsty on my run, so I must have lost a bit of fluid by drinking all that juice and could be a bit dehydrated. 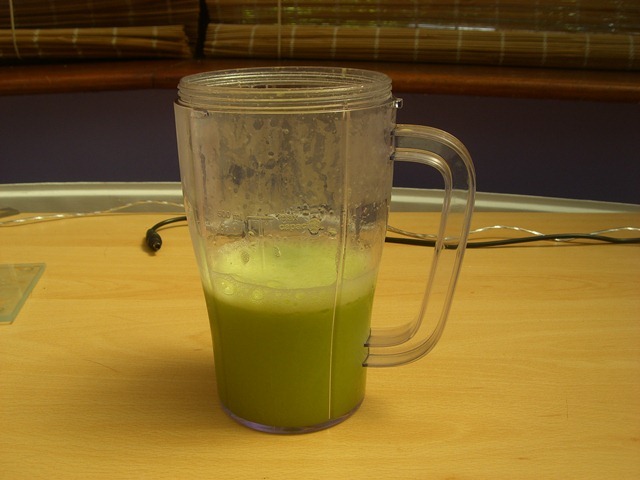 Interval training while detoxing probably isn’t the best idea in the world. Tomorrow I’ve got to run 3 miles, so I’ll see how that goes. Forget what I just said about not wanting hot chocolate. I’ll be strong though and have a cup of Choco Yogi Tea instead. I’ve just had the results in for my Open University Creative Writing course (which I sporadically blog about here). A Grade 2 pass, yippee! Just what I wanted (well, obviously, I’d have liked a distinction but that was never going to happen as I’d only had one assignment in that grade). So, for my celebratory lunch, I’ll be having a Dreamy Detox? Bah. Can I stick a vodka in it? The Dreamy Detox consists of 2 apples, 1 slice of lemon, 1 inch slice cucumber, 1 stick celery (if you didn’t forget to buy any), 1 inch piece fresh ginger which is all juiced then blended with ice. Doesn’t make much, does it? It’s really nice and refreshing though and makes a change from red liquid. I’ll be making this one again, for sure. Yum. I’m supposed to be making the H2O Detox between lunch and dinner but I’m going to do without it and just wait for dinner. I can’t be bothered to drink a litre of very weakly flavoured red coloured water and will just stick to plain water. Just had dinner of Beyond Detox. I blended the avocado properly this time but I’m still not keen. I’m supposed to be having it for lunch tomorrow, but don’t think I can face it. That’s day two over with. Just one more left. 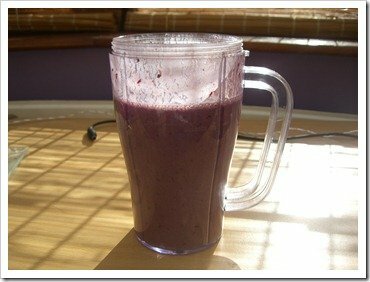 do you eat within the juices and smoothies too or is it just them that you consume? I stuck to the plan and just had juices and smoothies. I didn’t get hungry though.